1550 nm model with 50 micron core. 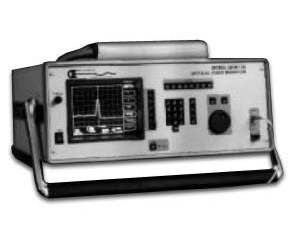 The OFM130 is a unique OTDR designed to operate in the long wavelength region (1300 to 1550 nm) with unprecedented sensitivity and resolution in real-time. This OTDR operates in the Fresnel mode to detect return losses as high as 80 dB with millimeter single point resolution and a few centimeters two point resolution. Operation in Rayleigh mode allows for splice loss measurements between unlike fibers and in confined spaces such as amplifiers.